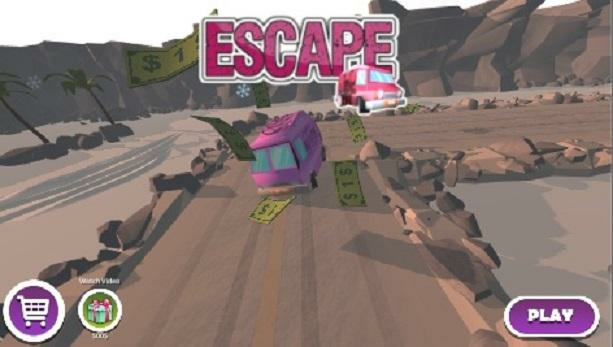 Zig zag your way through pile of cash while you make your escape. Froogy was born for high speed riding on highway. By collectingcoins or jumping through obstacles his enjoyment raises but alsohis thirst for speed. No one knows for how long he can do itwithout crashing, but now you can help him. When pressing thescreen, Froogy will follow your finger. When you release he willjump. Good luck and have fun. Challenge your self at this game that requires quick reflexesandclear mind. Have fun. ملك التوصيل - عوض أبو شفة المعلم عوض أبو شفة زعيم المنطقة يتولىالقيام بخدمة توصيل الطلبات ليخدم صديقه جبر قوانص في لعبة سياراتثلاثية الأبعاد فريدة من نوعها، عوض أبو شفة سائق متمرس قديم في توصيلالطلبات على الوقت و يعشق شوارع عمان يسعى لنيل لقب " ملك التوصيل "!إختر سيارتك و قم بتعديلها و تطويرها و إنطلق في أنحاء مدينة عمان وضواحيها اجمع الطلبات من المطاعم و قم بتوصيلها الى المكان المناسبقبل أن ينتهي الوقت طور سيارتك و اكتشف مطاعم جديدة متعددة ميزاتاللعبة : - رسوم ثلاثية الأبعاد فريدة من نوعها - شخصيات مضحكة -سيارات متعددة قابلة للتطوير - خريطة كبيرة و عالم مفتوح لا تنسىتقييم اللعبة والاعجاب بصفحتنا على فيسبوك، هذه اللعبة تأتيكم منطماطم، ناشر الألعاب العربي الاول على اجهزة المحمول في الوطن العربيKing of delivery - Awad abo shefeh Awad abu sheffeh is a skilleddriver who Helps his friend Jaber Gawanes to deliver food in a new3D one of a kind car game. Take a ride in Awad's car around thecity of Amman and collect orders from restaurants and deliver it tothe right place before the time run out Upgrade your car and unlockmultiple restaurants to make more & more deliveries! The gamefeatures: 1 - Unique 3D Graphics 2 - Funny characters 3 - Multipleup-gradable cars 4 - Large map and open world Download and rate thegame TODAY Free for ever! This game comes to you by Tamatem, theArabic mobile games publisher!